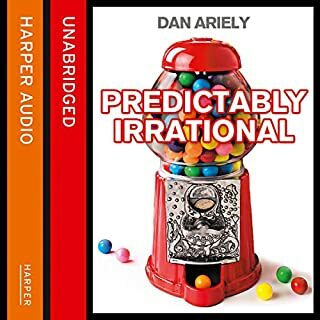 Behavioural economist and New York Times best-selling author of Predictably Irrational Dan Ariely returns to offer a much-needed take on the irrational decisions that influence our dating lives, our workplace experiences, and our general behaviour, up close and personal. topic misleasing in the summary. 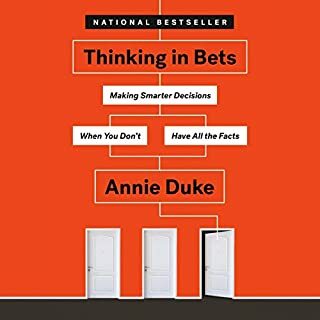 essential listening for everyone who makes decisions and especially for those who create choices for others. very useful to understand how I am nudged and how to effectively nice myself! Love it! Academic professors find it difficult to write compelling informative books for a general audience. The information is interesting but the writing style is a bit too cheesy for me. 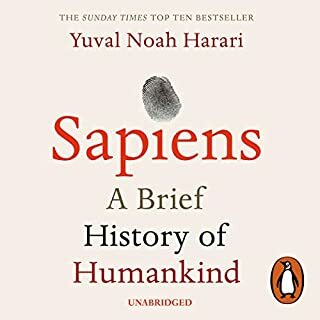 Not my favourite book, in fact It has been a while since I have struggled to read an audible book like this one. 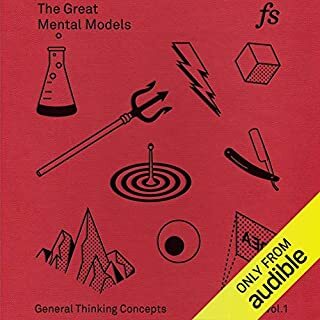 Behavioural economics books are generally fascinating, but this one applies very few principles to endless obvious examples; the cover is the high point. 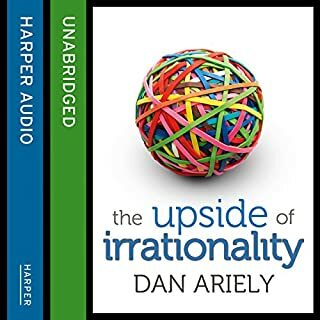 Read Dan Ariely instead. How many economists can you invite to a dinner party without spoiling it for everyone else? Why do I pull on doors that say push? Why is their no logic to my saving and borrowing? Why do I put up with default settings on my computer that annoy me? 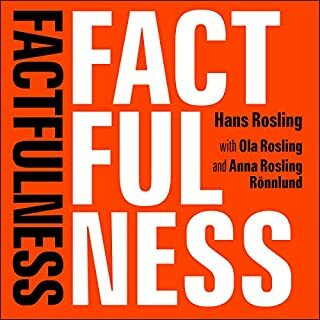 All of these question and many more have been answered by this book along with why government campaigns on obesity are making matters worse. How to solve the pension crisis and how to get people to drink less without turning into a fascist. 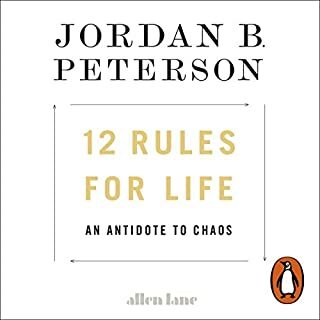 "Libertarian paternalism" they call it or how to design and frame choices so that they have positive outcomes that individuals and society would want when they are thinking logically. 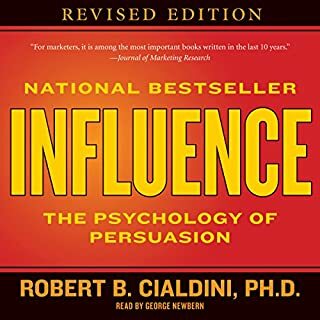 It?s a very important book and highly influential on some decision makers in the UK and the States, I knew that when I bought it; what I didn?t expect was that it would be so funny. I have laughed out loud half a dozen times and not just at the rich vein of references to Homer Simpson who is repeatedly referenced. 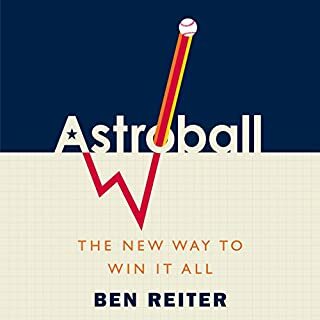 I did nod off during the long chapter on the American pension system though there are useful parallels but generally it is highly entertaining and very thought provoking. 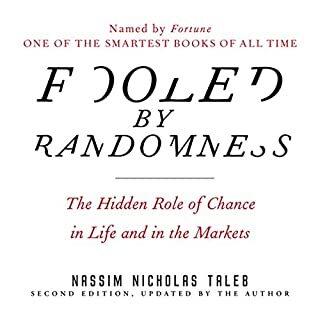 Quite a good read but is far longer than needs to be as repeats / reiterates the same points over rather than further exploring and developing the ideas. By the time it got to the section of US medical records I had started to lose the will to live and nearly gave up ! 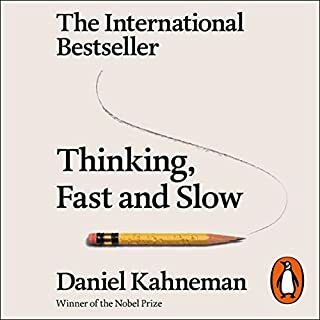 This is the "applications" book that (for me) follows on from the theory presented in nobel prize winner Daniel Kahnemann's "Thinking, fast and slow" - so if you haven't read that, my hunch is that you won't get this - it may seem too superficial, even though each topic is taken in some detail. 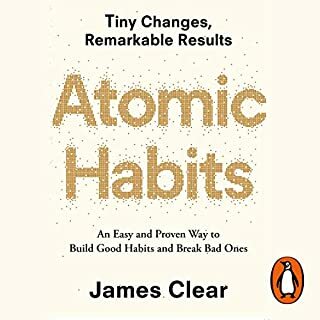 I think it is excellent and gives good advice for anyone who is a "choice architect" - including governments - on how to help people make better choices. Along the way the authors also give some financial planning advice! basic information presented in a convoluted fashion. there may be insightful answers to the myriad of examples later on in the book. I never made it that far to find out. I tried and tried to listen to all of this but had to give up just over half way through. It has some good points but overall it's awful to listen to and badly structured. - The overall context (possibly a mix of the tone of voice and language used) was too much to listen to. 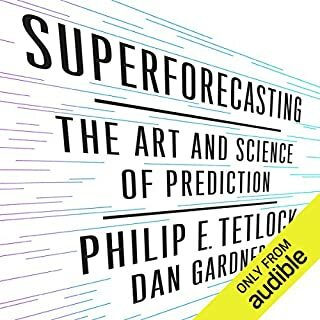 I have read and listened to a lot of business and non-fiction books so am used to technical jargon but this audible was too much. Unfortunately, I wouldn't recommend this book. 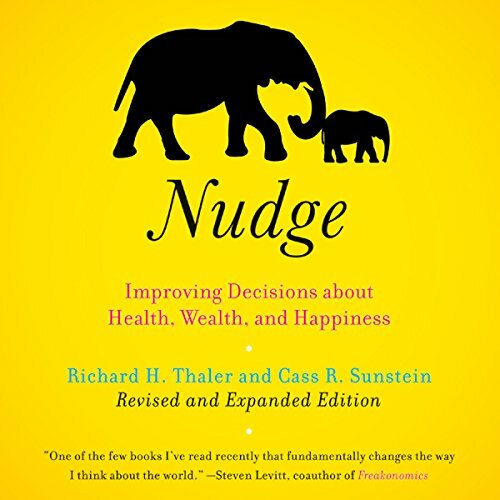 What did you like most about Nudge? Some interesting points are made about how we are influenced in the decision making process. These points are often backed up by reference to research papers. The focus the authors make on the practical application of these points is in the context of government policies. This is not an area I'm particularly interested in and I dare say those in elected government don't pay much attention to choice architecture, instead placing priority over actions that enhance short term votes. 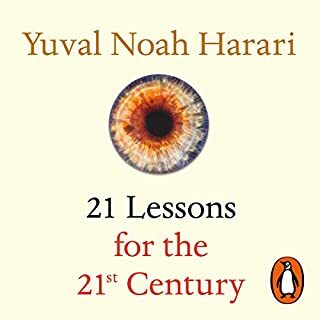 I felt I had heard most of the key ideas by reading a selection of reviews. How most people are 'humans' who have trouble disciplining themselves to save (for pensions etc) and are unrealistic in their assessments e.g. not believing on their wedding days that they risk divorce, and generally let their lives be run by inertia and taking the easiest path. The opposites are 'econs', who behave rationally all the time. 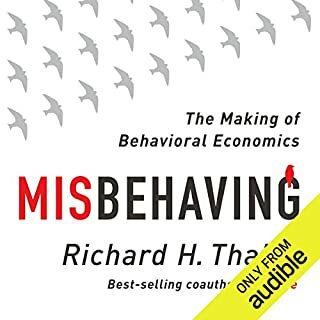 A lot of all this is jolly amusing, but beyond these key ideas Thaler and Sunstein plough through enormous detail on pensions and (US) healthcare plans which is probably just what turns the typical human off. 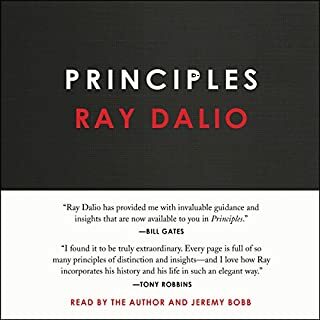 I was really looking forward to this audiobook and it started off being quite promising. I liked the idea that behaviour can be changed by simple nudges and it was this that appealed to me. 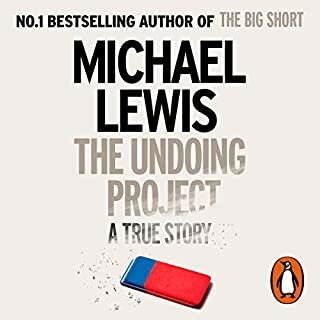 However as a UK listener the emphasis on American society lost me at several points, particularly the chapter on pensions and medicaid. I suppose this is so different from our NHS system that I found it hard to relate to. Eventually I abandoned it. There were some interesting points, but overall not one of my favourites.